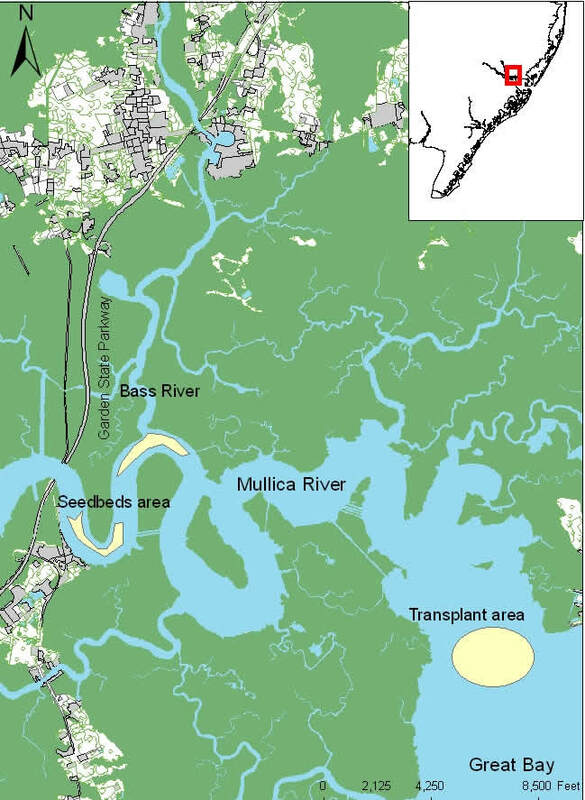 The Mullica River-Great Bay estuary provides habitat for one of the last remaining viable oyster populations along the Atlantic Coast of New Jersey. 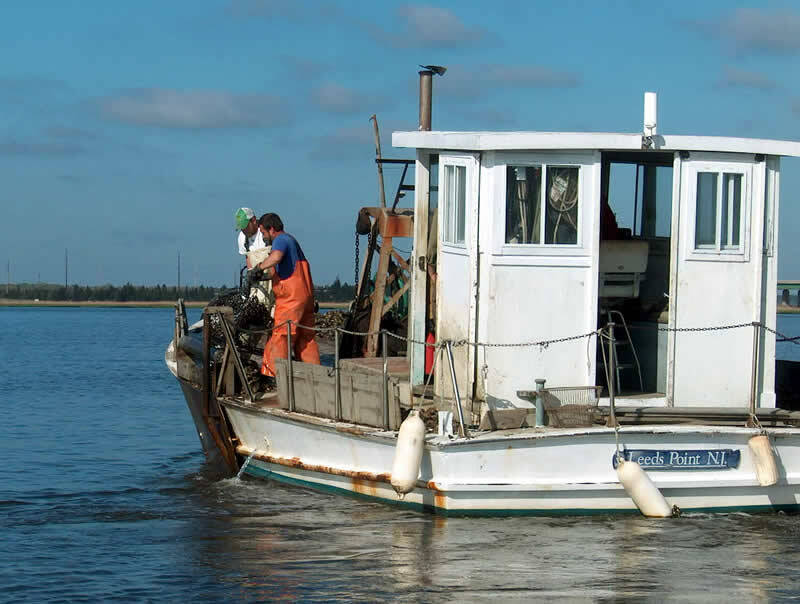 Historically, the Bureau of Shellfisheries has conducted an annual survey to assess the condition of the public seedbeds, located upstream in the vicinity of the mouth of the Bass River and the public oyster harvest beds located at the mouth of the Mullica River. Recently, the state initiated shell planting and seed transplantation activities in an effort to sustain the resource and support the traditional oyster fishery. This initiative began in 2001 with the movement of 2,000 bushels of oysters from the seedbeds to a four-acre parcel within the harvest bed of Fitney Bit (shown as "Transplant area" on map). That effort lead to the first public oyster harvest on the Atlantic Coast of New Jersey in over 20 years. In 2005, the Bureau of Shellfisheries was awarded a grant from the FishAmerica Foundation and NOAA Restoration Center to initiate the Mullica River Oyster Restoration Project. The goal of this project was to enhance oyster habitat in the Mullica River/Great Bay estuary and to increase public awareness of the ecological role of oyster habitat as nursery and foraging ground for recreational finfish. The educational component of the project was facilitated with the participation of the Richard Stockton College of New Jersey. At the time the project was initiated, the distribution of marketable size oysters in the estuary was primarily confined to the area of Fitney Bit that was seeded with oysters in 2001. 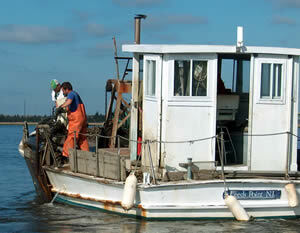 Oysters are harvested from a seedbed in the Mullica River. 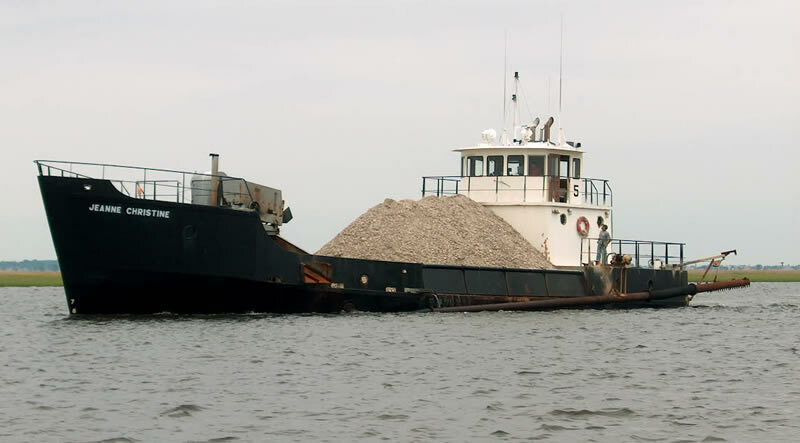 In May 2006, 2,000 bushels of oyster seed material, equivalent to approximately 8.7 million oysters, was spread over a four-acre parcel within the harvest oyster Transplant Area named the "Reef". These oysters were transplanted from Moss Point, one of the two seedbeds located approximately 10 miles upstream from the Reef. For a period of five years, harvest will not be allowed on the Reef to protect the restored habitat, as per the Bureau's agreement with the FishAmerica Foundation. 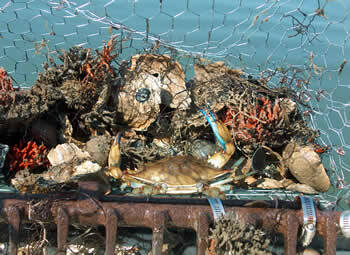 In support of the traditional oyster fishery, and ancillary to the grant work, the Bureau of Shellfisheries conducted another transplant in October 2006. This consisted of 2,000 bushels of seed material from the French's Point seedbed to repopulate a new four-acre parcel within the harvest bed of Fitney Bit. To date, monitoring activities conducted over the seedbeds and restored areas indicate that those areas continue to exhibit good condition (high proportion of live oysters relative to sample volume). Transplanted oysters have shown good performance in terms of growth and survival. 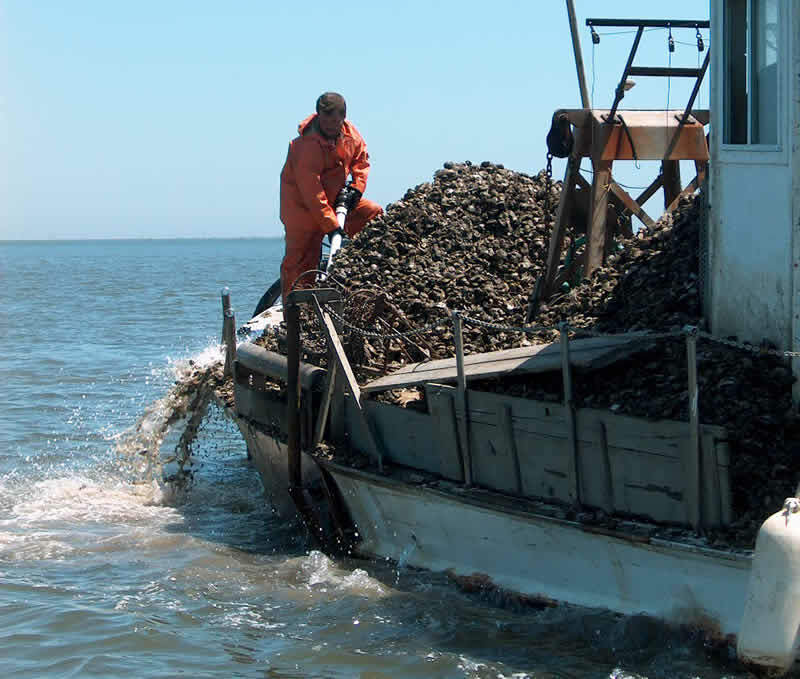 In June 2006, four thousand bushels of surf clam shell were planted to enhance oyster recruitment over a 13-acre parcel within the seedbed of Moss Point. Surf clam shell provides an excellent substrate for oyster larvae to settle and Mullica river seedbeds have a high potential for recruitment. 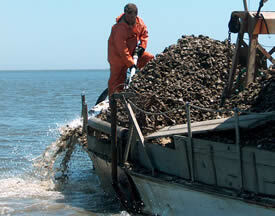 Oysters are planted on the Reef bed in the Mullica River. Surf clam shells are planted. In 2005 the index of recruitment at Moss Point, 3,876 juvenile oyster (spat) per bushel, was one of the highest ever recorded in the annual survey of the Bureau of Shellfisheries. 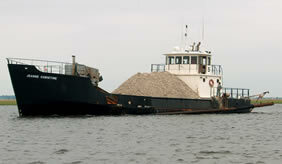 That level corresponded with a maximum average of 30 spat per individual oyster shell as recorded in weekly and seasonal spat collectors deployed by Stockton College at Moss Point during the project in 2005. The importance of oyster habitat to finfish and other marine organisms was demonstrated by oyster dredge and trawl surveys. The presence of red beard sponges, blue crabs, mud crabs and macroalgae was documented both in oyster dredge and trawl surveys. Trawl survey results indicated the presence of 27 species of finfish in the general restoration area. Surveys yield a rich diversity of life on the oyster beds.